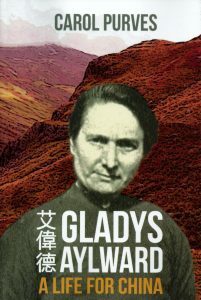 This is the story of Gladys Aylward, a missionary to China in the 1930’s and the 1940’s. Immortalised through the film The Inn of the Sixth Happiness starring Ingrid Bergman. Gladys set out to China alone, trusting in God to supply all her needs. Her call was to China alone, no other country of service would do for her. Often her life was in danger. She received a bullet wound to her shoulder while fleeing Japanese soldier. She encountered wolves in the forest in Siberia, fortunately she only heard them, she did not see them. Nearly a hundred children were led by her across the mountains to safety, while she was the only adult to guide them. Her story eventually became known world-wide as she lectured in many English speaking countries. Being only five foot tall was no hinderance to her determined nature. Did you know this intrepid missionary is now buried in Taiwan, which in her day was known as Formosa?